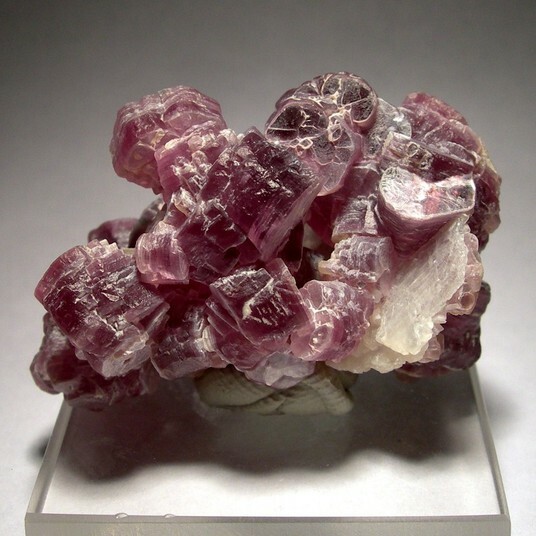 Lepidolite: Mineral information, data and localities. Named in 1792 by Martin Klaproth from the Greek words lepidos for "scale" and lithos for "stone". A Li-rich mica in, or close to, the so-called Polylithionite-Trilithionite series. The original lepidolite came from Rožná pegmatite, Žďár nad Sázavou, Vysočina Region, Moravia (Mähren; Maehren), Czech Republic. The name is sometimes incorrectly applied to lithian muscovite. The pink to purple colour typical of lithian muscovite and lepidolite is usually attributed to manganese rather than lithium. Visit gemdat.org for gemological information about Lepidolite. Mesoproterozoic to Cretaceous : 1020 Ma to 126.1 ± 1.1 Ma - based on 11 recorded ages. Cs-rich Lepidolite A variety of Lepidolite enriched in Caesium. Purple Jade A dense mass of fine grained lepidolite, which is used for carving and as an ornamental stone. It usually contains minor quartz, feldspar, spodumene and occasionally pollucite as impurities. Technically, this material is a rock and not a mineral. Rb-rich Lepidolite A variety of Lepidolite enriched in Rubidium. Elbaite 883 photos of Lepidolite associated with Elbaite on mindat.org. Quartz 348 photos of Lepidolite associated with Quartz on mindat.org. Cleavelandite 303 photos of Lepidolite associated with Cleavelandite on mindat.org. Albite 233 photos of Lepidolite associated with Albite on mindat.org. Tourmaline 173 photos of Lepidolite associated with Tourmaline on mindat.org. Rubellite 108 photos of Lepidolite associated with Rubellite on mindat.org. Morganite 65 photos of Lepidolite associated with Morganite on mindat.org. Microcline 63 photos of Lepidolite associated with Microcline on mindat.org. Topaz 58 photos of Lepidolite associated with Topaz on mindat.org. Muscovite 58 photos of Lepidolite associated with Muscovite on mindat.org. Frequently fluoresces medium intensity of creamy white to pale yellow. Sometimes yellow. Ore of lithium, cesium, and rubidium. Schaller, Waldemar Theodore (1905) Crystallography of lepidolite: American Journal of Science, 4th. Series: 19: 225-226. Stevens, Rollin Elbert (1938) New analyses of lepidolites and their interpretation: American Mineralogist: 23: 607-628. Mineralogical Record (1989) 20: 109. Rieder et al (1998) Nomenclature of the micas. Canadian Mineralogist: 36: 905-912. Mineralogical Magazine (1999) 63: 267-279. Kogure, T. and Bunno, M. (2004) Investigation of polytypes in lepidolite using electron back-scattered diffraction. American Mineralogist: 89: 1680-1684. The following Lepidolite specimens are currently listed for sale on minfind.com. Cocker, Mark D. (2018), USGS, Chapter 24A, Summary for the Mineral Information Package for the Nuristan Rare-Metal Pegmatite Area of Interest. http://minsocam.org/MSA/AmMin/TOC/Articles_Free/1999/Galliski_p773-777_99.pdf; Galliski, M. Á., Černý, P., Márquez-Zavalía, M. F., & Chapman, R. (2012). An association of secondary Al–Li–Be–Ca–Sr phosphates in the San Elías pegmatite, San Luis, Argentina. The Canadian Mineralogist, 50(4), 933-942. Mackintosh, E. E., Lewis, D. G., & Greenland, D. J. (1971). Dodecylammonium mica complexes. I. Factors affecting the exchange reaction. Clays and Clay minerals, 19, 209-218. Jacobson, M.I., Calderwood, M.A., Grguric, B.A. (2007) Guidebook to the Pegmatites of Western Australia. Hesperian Press, Carlisle, Western Australia, 394 pages, at p.299. Grguric, B.A., Nickel, E.H. (2005) Okenite from the Perseverance nickel mine, Western Australia: a first Australian occurrence. Australian Journal of Mineralogy, Vol. 11, pg. 25-26. Jacobson, M.I., Calderwood, M.A., Grguric, B.A. (2007) Guidebook to the Pegmatites of Western Australia. Hesperian Press, Carlisle, Western Australia, 394 pages. Fetherston, J.M. (2004) Tantalum in Western Australia: Western Australia Geological Survey, Mineral Resources Bulletin 22, 162p. Calderwood, M.A., Grguric, B.A., Jacobson, M.I. (2007) Guidebook to the Pegmatites of Western Australia. Hesperian Press, Carlisle, Western Australia. ; Simpson, E.S. (1928) Famous Mineral Localities: Wodgina North West Australia, American Mineralogist, 13:9, 457-468. Horbe, A. M. C., & da Costa, M. L. (1999). Geochemical evolution of a lateritic Sn–Zr–Th–Nb–Y–REE-bearing ore body derived from apogranite: the case of Pitinga, Amazonas—Brazil. Journal of Geochemical Exploration, 66(1), 339-351. Morteani, G., Preinfalk, C., and Horn, A.H. (2000): Mineralium Deposita 35, 638-655. Rob Lavinsky specimen; Atencio, D., Coutinho, J. M., & Menezes Filho, L. A. 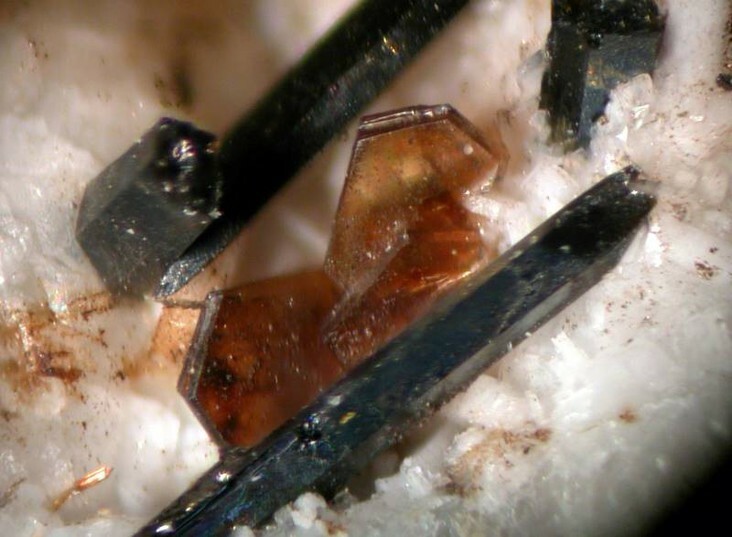 (2005) Roscherite-Group Minerals. Axis Vol 1 No. 6. [MinRec 12:74]; Quéméneur, J., & Lagache, M. (1999). Comparative study of two pegmatitic fields from Minas Gerais, Brazil, using rubidium and cesium content of the micas and feldspars. Brazilian Journal of Geology, 29(1), 27-32. Ferreira, A., Ferreira, V. P., Soares, D. R., & Vilarroel-Leo, H. S. (2005). Chemical and mineralogical characterization of elbaites from the Alto Quixaba pegmatite, Seridó province, NE Brazil. Anais da Academia Brasileira de Ciências, 77(4), 729-743.; Scares, D. R., Ferreira, A. C. M., da Silva, R. R., & Ferreira, V. P. (2008). Alkali-Deficient elbaite from pegmatites of the serido region, Borborema Province, Ne Brazil. Brazilian Journal of Geology, 30(2). http://www.sbgeo.org.br/572.html; Beurlen, H.; Müller, A.; Silva, D.; Da Silva, M.R.R. (2011): Petrogenetic significance of LA-ICP-MS trace-element data on quartz from the Borborema Pegmatite Province, northeast Brazil. Mineralogical Magazine 75, 2703-2719. ; Scares, D. R., Ferreira, A. C. M., da Silva, R. R., & Ferreira, V. P. (2008). Alkali-Deficient elbaite from pegmatites of the serido region, Borborema Province, Ne Brazil. Brazilian Journal of Geology, 30(2). ; Dill, H. G., Hansen, B. T., & Weber, B. (2013). U/Pb age and origin of supergene uranophane-beta from the Borborema Pegmatite Mineral Province, Brazil. Journal of South American Earth Sciences, 45, 160-165. Strmić Palinkaš, S.; Palinkaš, L.; Neubauer, F.; Scholz, R.; Borojević Šoštarić, S.; Bermanec, V. (2019) Formation Conditions and 40Ar/39Ar Age of the Gem-Bearing Boqueirão Granitic Pegmatite, Parelhas, Rio Grande do Norte, Brazil. Minerals 2019, 9, 233. Beurlen, H., Da Silva, M.R.R., Thomas, R., Soares, D.R., and Olivier, P. (2008):Mineralium Deposita 43, 207-228.; Beurlen, H.; Müller, A.; Silva, D.; Da Silva, M.R.R. (2011): Petrogenetic significance of LA-ICP-MS trace-element data on quartz from the Borborema Pegmatite Province, northeast Brazil. Mineralogical Magazine 75, 2703-2719. Econ Geol (1995) 90:658-675; Phillips, K. A. (1978) Minerals of Manitoba: Vol 1 Nonmetallic and pegmatic. Manitoba Mineral Resources Division Educational Series 78/1. American Mineralogist, Volume 94, pages 439–450, 2009; Bannatyne, B. B. (1985). Industrial minerals in rare-element pegmatites of Manitoba (Vol. 84, No. 1). Manitoba Energy and Mines, Geological Services. M. Masau, P. Cerny, M.A. Cooper, R. Chapman & J. Grice (2002) Can. Mineral. 40, 1649-1655; Morgan Masau, Petr Cerny and Ron Chapman (2000) Exsolution of zirconian-hafnian wodginite from manganoan-tantalian cassiterite, Annie Claim #3 granitic pegmatite, southeastern Manitoba, Canada. The Canadian Mineralogist, 38:685-694.; Phillips, K. A. (1978) Minerals of Manitoba: Vol 1 Nonmetallic and pegmatic. Manitoba Mineral Resources Division Educational Series 78/1; Bannatyne, B. B. (1985). Industrial minerals in rare-element pegmatites of Manitoba (Vol. 84, No. 1). Manitoba Energy and Mines, Geological Services. Černý, P., Masau, M., Goad, B. E., & Ferreira, K. (2005). The Greer Lake leucogranite, Manitoba, and the origin of lepidolite-subtype granitic pegmatites. Lithos, 80(1), 305-321. Phillips, K. A. (1978) Minerals of Manitoba: Vol 1 Nonmetallic and pegmatic. Manitoba Mineral Resources Division Educational Series 78/1; CAMACHO, A., BAADSGAARD, H., DAVIS, D.W., ČERNY, P. (2012) Radiogenic isotope systematics of the Tanco and Siverleaf granitic pegmatites; Winnipeg River pegmatite district, Manitoba, Canadian Mineralogist 50, 1775-1792.; Bannatyne, B. B. (1985). Industrial minerals in rare-element pegmatites of Manitoba (Vol. 84, No. 1). Manitoba Energy and Mines, Geological Services. FERUVITE FROM LEPIDOLITE PEGMATITES AT RED CROSS LAKE, MANITOBA. Canadian Mineralogist, 1998, 36, 433-439.; Černý, O., Teertstra, D.K., Chapman, R., Selway, J.B., Hawthorne, F.C., Ferreira, K., Chackowsky, L.E., Wang, X.J. & and Meintzer, R.E. (2012); Černý, P., Teertstra, D. K., Chapman, R., Selway, J. B., Hawthorne, F. C., Ferreira, K., ... & Meintzer, R. E. (2012). Extreme Fractionation And Deformation Of The Leucogranite–Pegmatite Suite At Red Cross Lake, Manitoba, Canada. Iv. Mineralogy. The Canadian Mineralogist, 50(6), 1839-1875.
ⓘ Grey River deposit ? E.R. Faribault, "Lunenberg County, Nova Scotia", Summ. Rep. Geol. Surv. Dep. Canada for 1907, pp. 80-82, 1908. Walker, T.L. and Parsons, A.L. (1924) "Pegmatite Minerals from New Ross, Nova Scotia", University of Toronto, Geol. Series, no. 17, pp. 46-50. Anne P. Sabina, Rocks and Minerals for the Collector Miscellaneous Report 77, 2003, Geological Survey of Canada. Sabina, A.P. (2003): Rocks & Minerals for the collector; Kirkland Lake - Rouyn-Noranda - Val d'Or, Ontario & Quebec. GSC Misc. Report 77, 169p. Potter, E. G., Taylor, R. P., Jones, P. C., Lalonde A. E., Pearse, G. H. K., and Rowe, R., 2009, Sokolovaite and evolved lithian micas from the Eastern Moblan pegmatite, Canadian Mineralogist, v 47, p. 337-349. Bynoe, L. (1987). Shear zone influence on the emplacement of a giant pegmatite: The Whabouchi Lithium Pegmatite, Quebec, Canada (Doctoral dissertation, The University of Western Ontario). Gefei Huang, Maosong Hou, Yangsheng Liu, and Baizhong Zi (2005): Geology and Mineral Resources of South China 2005(3), 38-43. Werner, A.B.T., Sinclair, W.D., and Amey, E.B. (1998): USGS Circular 930-O. Bull. Minéral. , 1984, 107, pp. 369-384.; Novák, M., Ertl, A., Povondra, P., Vašinová Galiová, M., Rossman, G. R., Pristacz, H., ... & Škoda, R. (2013). Darrellhenryite, Na (LiAl2) Al6 (BO3) 3Si6O18 (OH) 3O, a new mineral from the tourmaline supergroup. American Mineralogist, 98(10), 1886-1892. Bull. Minéral. , 1984, 107, pp. 369-384.; Novak, M., & Divis, K. (1996). Compositional trends in manganocolumbite from the Puklice I pegmatite, western Moravia, Czech Republic. Journal of GEOsciences, 41(1-2), 1-6. Kruťa, T.: Nový lithný pegmatit na západní Moravě. Časopis pro mineralogii a geologii, 1976, roč. 21, č. 2, s. 204. Sørensen, H. (1962): On the occurrence of Steenstrupine in the Ilimaussaq massif, southwest Greenland. Meddelelser om Grønland. 167, Reitzels Forlag København, 251 p.
Andersen, E.K., Danø, M., and Peteresen, O.V. (1969): A tetragonal natrolite. Contribution to the mineralogy of Ilímaussaq, No 13. Meddelelser om Grønland, 181, (10), 1-19. Haapala, I. (1966): On the granitic pegmatites in the Peräseinäjoki-Alavus area, South Pohjanmaa, Finland. Bulletin de la commission géologique de Finland 224, 98p. ; Makitie, H., Karkkainen, N., Lahti, S. I., & Alviola, R. (2001). Compositional variation of granitic pegmatites in relation to regional metamorphism in the Seinajoki region, western Finland. Special Paper 30 - Geological Survey of Finland, 31-59. (L. Chauris, C. Laforêt and J. Cotten, Bull. Minéral. , 1985, 108, pp. 955-958). Thomas, R., and Webster, J.D. (2000): Mineralium Deposita 35, 570-582. HAAKE, R., FLACH, S. & BODE, R. (1994): Mineralien und Fundstellen, Bundesrepublik Deutschland, Teil II. 1st ed., 244 pp., Bode Verlag GmbH, Haltern, Germany. Sarkar, S. S. (1996). Prospecting clues for muscovite mineralization in Bihar mica belt, eastern India. Geoinformatics, 7, 169-172. Pezzotta, F., & Guastoni, A. (2007). Hambergite, helvite e pirofanite nelle pegmatiti elbane. Rivista Mineralogica Italiana, 3/2007, 166-168. Yohei Shirose, Seiichiro Uehara (2013) Li tourmaline from Nagatare, Fukuoka Prefecture, Japan. Journal of Mineralogical and Petrological Sciences Vol. 108 (2013) No. 4 August p. 238-243; Shirose, Y., Uehara, S. (2014) Secondary phosphates in montebrasite and amblygonite from Nagatare, Fukuoka Prefecture, Japan. Journal of Mineralogical and Petrological Sciences, 109, 103-108.; Shirose, Y., & Uehara, S. (2014). Secondary phosphates in montebrasite and amblygonite from Nagatare, Fukuoka Prefecture, Japan. Journal of Mineralogical and Petrological Sciences, 109(2), 103-108. Rakotoarison, W. (1964): Les pegmatites de la Sahatany. Archive du Service Géologique Madagascar. A. 1983, 39p. Rocks & Min.:63:456. ; Panczner(1987):251 & 379. Bull. Soc. Franç. Minéralo. Cristallo. , 1964, LXXXVII, p. 553-556. Gomes Figueiredo C.S. (1967) Alteration of spodumene and lepidolite with formation of dioctahedral chlorite plus dioctahedral montmorillonite interstratifications with dioctahedral chlorite, - Mem. et Notic. Miner. Univer. Coimbra, v.64, p. 32-57.; Neiva, A. M., & Neiva, J. (2005). Beryl from the granitic pegmatite at Namivo, Alto Ligonha, Mozambique. Neues Jahrbuch für Mineralogie-Abhandlungen: Journal of Mineralogy and Geochemistry, 181(2), 173-182. Maung Kyaw Khaing Win (2003): A study on gemstone occurrences of Molo District, Momeik Township, Shan State. Unpublished M.Sc. thesis, University of Yangon, Department of Geology. Wilson, W.E. et al. (2002): Jeremejevite from Namibia. Mineralogical Record. 33, 289-301. Bezing, L. von., Bode, R., and Jahn, S., (2008) Namibia Minerals and Localities. Edition Schloss Freudenstein, Bode Verlag GmbH, Haltern. 639 (in English). Keller, P. (1991) The occurrence of Li-Fe-Mn phosphate minerals in granitic pegmatites of Namibia. Communications of the Geological Survey of Namibia, 7, 21-35. P. Keller and O. von Knorring, Eur. J. Mineral. , 1989, 1, pp. 567-593.; Keller, P. (1991) The occurrence of Li-Fe-Mn phosphate minerals in granitic pegmatites of Namibia. Communications of the Geological Survey of Namibia, 7, 21-35. Mining Ann. Review(1985):423.; Keller, P. (1991) The occurrence of Li-Fe-Mn phosphate minerals in granitic pegmatites of Namibia. Communications of the Geological Survey of Namibia, 7, 21-35. Keller, P. (1991): The occurrence of Li-Fe-Mn phosphate minerals in granitic pegmatites of Namibia. Communs. Geol. Surv. Namibia, 7, 21-34. ; Ashworth, L. (2014). Mineralised Pegmatites of the Damara Belt, Namibia: Fluid inclusion and geochemical characteristics with implications for post-collisional mineralisation (Doctoral dissertation, Faculty of Science, University of the Witwatersrand). Ashworth, L. (2014). Mineralised Pegmatites of the Damara Belt, Namibia: Fluid inclusion and geochemical characteristics with implications for post-collisional mineralisation (Doctoral dissertation, Faculty of Science, University of the Witwatersrand). ; Broccardo, L., Kinnaird, J. A., & Nex, P. A. M. (2011). Preliminary fluid inclusion results from the Rubicon pegmatite, Karibib, Namibia. Asociación Geológica Argentina, Serie D, publicación especial No, 14, 45-48.; Keller, P. (1991) The occurrence of Li-Fe-Mn phosphate minerals in granitic pegmatites of Namibia. Communications of the Geological Survey of Namibia, 7, 21-35. Ernst A. Schnaitmann; Ashworth, L. (2014). Mineralised Pegmatites of the Damara Belt, Namibia: Fluid inclusion and geochemical characteristics with implications for post-collisional mineralisation (Doctoral dissertation, Faculty of Science, University of the Witwatersrand). Baldwin, J. R. (1989): Replacement phenomena in tantalum minerals from rare-metal pegmatites in South Africa and Namibia. Mineralogical Magazine 53, 571-581. [http://www.minersoc.org/pages/Archive-MM/Volume_53/53-373-571.pdf]; Baldwin, J. R. (1994). Lithium and tantalum mineralization in rare-element pegmatites from southern Africa (Doctoral dissertation, University of St Andrews). Okunlola, O. A., & Ocan, O. O. (2009). Rare metal (Ta-Sn-Li-Be) distribution in Precambrian pegmatites of Keffi area, Central Nigeria. Nature and Science, 7, 90-99.
ⓘ Sivec marble quarries ? B. Charoy et al. , Eur.Journ. Mineral. , 1995, 7, pp. 335-352.; Pereira, E.G., Antunes, I.M., and Monteiro, M.C.H.M. (2010): Goldschmidt Conference Abstracts 2010. Neiva, A. M. R., Silva, M. M. V. G., Antunes, I. M. H. R., & Ramos, J. M. F. (2000). Phosphate minerals of some granitic rocks associated quartz veins from northern and central Portugal. ; Antunes, I. M. H. R., Neiva, A. M. R., Ramos, J. M. F., Silva, P. B., Silva, M. M. V. G., & Corfu, F. (2013). Petrogenetic links between lepidolite-subtype aplite-pegmatite, aplite veins and associated granites at Segura (central Portugal). Chemie der Erde-Geochemistry, 73(3), 323-341. Alexandre Pedroso collection; Mignardi, S., Ferrini, V., & Masi, U. (2001). Composition of micas from the lepidolite deposit of Goncalo, Beira Alta (Portugal) and significance for the origin. Mineral Deposits at the Beginning of the 21st Century, 449. Bortnikov, N.S., Gorelikova, N.V., Korostelev, P.G., and Gonevchuk, V.G. (2008): Geology of Ore Deposits 50(6), 445-461. Pavel M. Kartashov data; Brigatti, M. F., Mottana, A., Malferrari, D., & Cibin, G. (2007). Crystal structure and chemical composition of Li-, Fe-, and Mn-rich micas. American Mineralogist, 92(8-9), 1395-1400.; Sokol, E. V., Seryotkin, Y. V., & Bul’bak, T. A. (2010). Na-Li-Be-rich cordierite from the Murzinka pegmatite field, Middle Urals, Russia. European Journal of Mineralogy, 22(4), 565-575. Kinosaki, Y. (1942) Miscelaneous Reports of the Geological Survey, Government-General of Korea, no. 11, 35. Encarnación Roda-Robles, Alfonso Pesquera (2007) Locality no. 3: Lepidolite-spodumene-rich and cassiterite-rich pegmatites from the Feli open-pit, (La Fregeneda, Salamanca, Spain) in ALEXANDRE LIMA & ENCARNACIÓN RODA ROBLES ed (2007) GRANITIC PEGMATITES: THE STATE OF THE ART - FIELD TRIP GUIDEBOOK. MEMÓRIAS N. º 9, UNIV. DO PORTO, FACULDADE DE CIÊNCIAS, DEPARTAMENTO DE GEOLOGIA pp 55-64; Roda-Robles, E., Vieira, R., Pesquera, A., & Lima, A. (2010). Chemical variations and significance of phosphates from the Fregeneda-Almendra pegmatite field, Central Iberian Zone (Spain and Portugal). Mineralogy and Petrology, 100(1-2), 23-34. Roda-Robles, E., Pesquera, A., Gil-Crespo, P. P., Torres-Ruiz, J. & De Parseval, P. (2006): Mineralogy and geochemistry of micas from the Pinilla de Fermoselle pegmatite (Zamora, Spain). European Journal of Mineralogy, 18, 369-377. Grensman, F & Langhof, J. (1991): Åkerberget. Guldgruva med litiumpegmatite. STEIN 18(2),20-22; Billström, K., Mattson, B., Söderlund, U., Årebäck, H., & Broman, C. (2012). Geology and Age Constraints on the Origin of the Intrusion-Related, Sheeted Vein-Type Åkerberg Gold Deposit, Skellefte District, Sweden. Minerals, 2(4), 385-416. Thomas, R., & Davidson, P. (2010). Hambergite-rich melt inclusions in morganite crystals from the Muiane pegmatite, Mozambique and some remarks on the paragenesis of hambergite. Mineralogy and Petrology, 100(3-4), 227-239. Nakapadungrat, S., & Maneenai, D. (1993). The Phuket, Phangnga and Takua Pa tin-ﬁeld, Thailand. Journal of Southeast Asian Earth Sciences, 8(1-4), 359-368. Hall, T.M. (1868): The Mineralogist's Directory. Edward Stanford (London), 168 pp. ; Collins, J.H. (1892): A Handbook to the Mineralogy of Cornwall and Devon, 2nd ed., D. Bradford Barton Ltd. (Truro, UK), 108 pp. ; Rudler, F.W. (1905): A Handbook to a Collection of the Minerals of the British Islands, Mostly Selected from the Ludlam Collection. HMSO Publications (London), 241 pp. The-Vug.com Collecting Minerals of La Paz County DVD. Anthony, J.W., et al (1995), Mineralogy of Arizona, 3rd.ed. : 275; Galbraith, F.W. & D.J. Brennan (1959), Minerals of AZ: 104. Elevatorski, E.A. (1978), Arizona Industrial Minerals, AZ Dept. of Min. Resources, Min Rpt. No. 2: 38; MRDS file #10259152. Anthony, J.W., et al (1995), Mineralogy of Arizona, 3rd.ed. : 275; Galbraith, F.W. & Brennan (1959), Minerals of AZ: 104. Anthony, J.W., et al (1995), Mineralogy of Arizona, 3rd.ed. : 184, 275; Jahns, Richard H. (1952), AZ Bur. of Mines Bull. 162. Jahns, R.H. (1952), Pegmatite deposits of the White Picacho District, Maricopa and Yavapai Cos., AZ, AZ Bur. Mines Bull. 162: 39 (Plate IX), 82. Galbraith, F.W. & D.J. Brennan (1959), Minerals of AZ: 104. Jahns, R.H. (1952), AZ Bur. Mines Bull. 162: 104-105; Meeves, H., et al (1966), Reconnaissance of beryllium-bearing pegmatite deposits in six western states, US Bur. Mines Info. Circ. 8298: 21 (Table A-1). Jahns, R.H. (1952), Pegmatite deposits of the White Picacho district, Maricopa and Yavapai Cos., AZ, AZ Bur. Mines Bull. 162: 98-103; Meeves, H., et al (1966), Reconnaissance of beryllium-bearing pegmatite deposits in six western states, US Bur. Mines Info. Circ. 8298: 22 (Table A-1). Jahns, R.H. (1952), AZ Bur. Mines Bull. 162: 103. MRDS database Dep. ID #10102521, MRDS ID #M003390. Jahns, R.H. (1952), AZ Bur. Mines Bull. 162: 87-90; Meeves, H., et al (1966), Reconnaissance of beryllium-bearing pegmatite deposits in six western states, US Bur. Mines Info. Circ. 8298: 22 (Table A-1). Jahns, Richard H. (1952), AZ Bur. of Mines Bull. 162: 86-87; Meeves, H., et al (1966), Reconnaissance of beryllium-bearing pegmatite deposits in six western states, US Bur. Mines Info. Circ. 8298: 23 (Table A-1). Butler, 1995. Rockhounding California, p.118. Fisher, D.J., (1944) Some of southern California pegmatites: unpublished manuscript, U.S. Geological Survey: 67; Murdoch, Joseph & Robert W. Webb (1966), Minerals of California, Centennial Volume (1866-1966): California Division Mines & Geology Bulletin 189: 242; Rocks & Minerals (1998): vol. 73. ; Jesse Fisher (2011) Mines and Minerals of the Southern California Pegmatite Province. Rocks & Minerals 86:14-34. Rocks & Min.:63:441. ; Jesse Fisher (2011) Mines and Minerals of the Southern California Pegmatite Province. Rocks & Minerals 86:14-34. Wright, 1957. N.B.S. p.206. 7/24/58. Blake, Wm. P. (1881), Contributions to the geology of California: Mining and Scientific Press: 42: 376; Papish, Jacob & Donald Aubrey Holt (1928), Gallium; I. Arc spectrographic detection of gallium; II. Extraction of gallium from lepidolite: Journal of Physical Chemistry: 32: 142-147; Murdoch, Joseph & Robert W. Webb (1966), Minerals of California, Centennial Volume (1866-1966): California Division Mines & Geology Bulletin 189: 242. Kunz, George Frederick (1905a), Gems, jewelers’ materials, and ornamental stones of California: California Division Mines Bulletin 37, 171 pp. : 100; Stevens, Rollin Elbert (1938), New analyses of lepidolites and their interpretation: American Mineralogist: 23: 617; Murdoch, Joseph & Robert W. Webb (1966), Minerals of California, Centennial Volume (1866-1966): California Division Mines & Geology Bulletin 189: 242. Fisher, J. 2002. Gem and rare-element pegmatites of southern California. 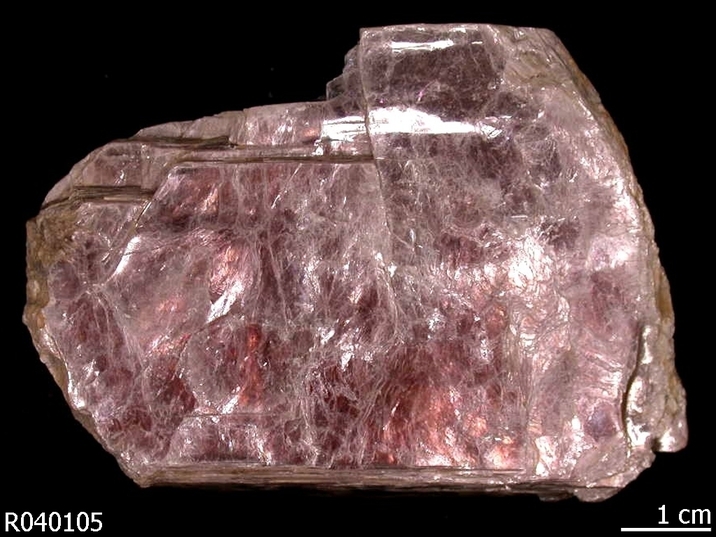 Mineralogical Record 33(5): 371-373. Tucker, W. B. and Reed, C. H. (1939) Los Angeles Field District, Mineral Resources of San Diego County - Gems. California Journal of Mines and Geology. Quarterly Chapter of State Mineralogist's Report 35, January, 1939, No. 1. State of California, Department of Natural Resources, Division of Mines: Page 40. Weber, F. H. (1963), Geology and mineral resources of San Diego County, California. California Division of Mines and Geology, County Report 3: p. 107. Pratt, Joseph Hyde (1904), Lithium: Mineral Resources U.S., 1903: 314; Van Amringe, E.V. (1933), The gem minerals of San Diego County, California: Mineralogical Society of Southern California Bulletin 2(7): 1; Murdoch, Joseph & Robert W. Webb (1966), Minerals of California, Centennial Volume (1866-1966): California Division Mines & Geology Bulletin 189: 121, 242. Mudoch, J. and Webb, R. W. 1948. Minerals of California, Bulletin 136. State of California, Department of Natural Resources, Division of Mines, pages 39, 192. Fisher, J., E. E. Foord, and G. A. Bricker, 1999. The geology, mineralogy, and history of the Himalaya mine, Mesa Grande, San Diego County, California. California Geology 52(1):3-18.; Jesse Fisher (2011) Mines and Minerals of the Southern California Pegmatite Province. Rocks & Minerals 86:14-34. Jahns, R. H. and Wright, L. A. (1951), Gem and lithium bearing pegmatites of the Pala District, San Diego County, California. California Division of Mines Special Report 7A: 72 p.
Kunz, G. F. 1906. The Production of Precious Stones in 1905. Department of the Interior, U.S. Geological Survey, Division of Mining and Mineral Resources. GPO, Washington: pages 26-27; 40 pp. Kunz, G. F. 1905. Gems, jeweler's materials, and ornamental stones of California. California State Mining Bureau bulletin 37: pages 86, 132-133. Kunz, G. F. 1905. Gems, jeweler's materials, and ornamental stones of California. California State Mining Bureau bulletin 37: page 86. Rocks & Minerals: May, 1999. Ref. : Weber, F. H. 1963. Geology and mineral resources of San Diego County, California. California Division of Mines and Geology, County Report 3: p. 111. Weber, F. H. 1963. Geology and mineral resources of San Diego County, California. California Division of Mines and Geology, County Report 3: pages 99, 105; illus., maps. Schaller, W. T. 1919. Gems & Precious Stones. Mineral Resources U.S., 1916, Part II - Nonmetals. Department of Interior, US Geological Survey, Government Printing Office, Washington; p. 897. Merrill, F. J. H. 1914. Geology and Mineral Resources of San Diego and Imperial Counties: Gems, Lithia Minerals. California State Mining Bureau, San Francisco, Cal. California State Printing Office, December. Chapter 1, p. 67. Tucker, W. B., Reed, C. H. (1939), Los Angeles Field District - Mineral Resources of San Diego County. California Journal of Mines and Geology, quarterly chapter of State Mineralogist's Report 35; January: p. 42. Jahns, R. H. and Wright, L. A. 1951. Gem and Lithium-bearing pegmatites of the Pala District, San Diego County, California. California Division of Mines special report 7A: 72 p.
Kunz, G. F. 1905. Gems, jeweler's materials, and ornamental stones of California. California State Mining Bureau bulletin 37: pages 55-57. Jahns, R. H. and Wright, L. A. (1951), Gem and Lithium-bearing pegmatites of the Pala District, San Diego County, California. California Division of Mines special report 7A: 72 pp. Schaller, W. T. (1904), The tourmaline localities of southern California. Science 19, pages 266-268; Jahns, R. H. and Wright, L. A. (1951), Gem and Lithium-bearing pegmatites of the Pala District, San Diego County, California. California Division of Mines special report 7A: 40; Pemberton, H. Earl (1983), Minerals of California; Van Nostrand Reinholt Press: 179. Kunz, G. F. 1905. Gems, jeweler's materials, and ornamental stones of California. California State Mining Bureau bulletin 37: pages 140-142. Rogers, Austin Flint (1910b), Minerals from the pegmatite veins of Rincon, San Diego County, California: Columbia University, School of Mines Quarterly: 31: 214; Weber, F.H. (1963a), Geology and mineral resources of San Diego County, California. California Division of Mines and Geology, County Report 3: 100, 114; Hanley, J.B. (1951), Economic Geology of the Rincon Pegmatites, San Diego County, California. Department of Natural Resources, California Division of Mines, Special Report 7B: 15-23; Murdoch, Joseph & Robert W. Webb (1966), Minerals of California, Centennial Volume (1866-1966): California Division Mines & Geology Bulletin 189: 242; Pemberton, H. Earl (1983), Minerals of California; Van Nostrand Reinholt Press: 431. Rogers, A. F. (1910), Minerals From The Pegmatite Veins Of Rincon, San Diego Co., California. Columbia University School Of Mines Quarterly Journal Of Applied Science, Vol. 31 pp. 208-218; Tucker, W. B., Reed, C. H. (1939), Los Angeles Field District - Mineral Resources of San Diego County. California Journal of Mines and Geology, quarterly chapter of State Mineralogist's Report 35; January: p. 54. Antisell, Thomas (1853-56), Reports of explorations and surveys: 33rd. Congress, 2nd. Session, House Doc. 91: volume 7 (part 2): 187; Murdoch, Joseph & Robert W. Webb (1966), Minerals of California, Centennial Volume (1866-1966): California Division Mines & Geology Bulletin 189: 242. Pemberton, H. Earl (1983), Minerals of California; Van Nostrand Reinholt Press: 370. Stevens, Rollin Elbert & W.T. Schaller (1942), The rare alkalies in micas: American Mineralogist: 27: 531; Weber, F. H. 1963. Geology and mineral resources of San Diego County, California. California Division of Mines and Geology, County Report 3: p 89., illus., maps. Tucker, W. B., Reed, C. H. (1939), Los Angeles Field District - Mineral Resources of San Diego County. California Journal of Mines and Geology, quarterly chapter of State Mineralogist's Report 35; January: p. 40; Murdoch, Joseph & Robert W. Webb (1966), Minerals of California, Centennial Volume (1866-1966): California Division Mines & Geology Bulletin 189: 242. Weber, F. H. (1963a), Geology and mineral resources of San Diego County, California. California Division of Mines and Geology, County Report 3: 106; illus., maps; Pemberton, H. Earl (1983), Minerals of California: 431; Rocks & Minerals, May-June 2003. Ref. : Meeves, H., et al (1966), Reconnaissance of beryllium-bearing pegmatite deposits in six western states, US Bur. Mines Info. Circ. 8298: 26 (Table A-1). ⓘ McGuire pegmatite (Lone Lode; Lonesome pegmatite) ? Hewitt, Herb. (circa 1960s): Hewitt Gem Mine advertisement flyer. Rocks & Min. : 12: 141-143.; Bartsch, Rudolf C. B. (1940): New England Notes. Rocks & Minerals, vol. 15, no. 6, p. 202. Cameron, Eugene N., Larrabee, David M., McNair, Andrew H., Page, James T., Stewart, Glenn W., and Shainin, Vincent E. (1954): Pegmatite Investigations 1942-45 New England; USGS Professional Paper 255: 333-338.; Schooner, Richard. (1955): 90 Minerals from 1 Connecticut Hill. Rocks & Minerals: 30(7-8): 351-8.; Schooner, Richard. (1958): The Mineralogy of the Portland-East Hampton-Middletown-Haddam Area in Connecticut (With a few notes on Glastonbury and Marlborough). Published by Richard Schooner; Ralph Lieser of Pappy’s Beryl Shop, East Hampton; and Howard Pate of Fluorescent House, Branford, Connecticut. Mineralogy of Maine, Vol 2, by Maine Geological Survey, edited by V. King, pages 142 - 145. Personally collected and sight identified in 2010. Daniel Levesque Collection. King, V. and Foord, E., 1994, Mineralogy of Maine, V. 1; King, V. (ed), 2000, Mineralogy of Maine, V. 2.; Cameron, Eugene N.; and others (1954) Pegmatite investigations, 1942-45, in New England. USGS Professional Paper 255.
ⓘ Spodumene Brook Prospects ? ⓘ Bolton Pegmatite float boulder occurrence ? Minerals of New Mexico 3rd ed. ; Edward C. Bingler (1968) Geology and Mineral Resources of Rio Arriba County, New Mexico. NMBMGR Bulletin 81; Jahns, R. H., (1946) Mica Deposits of the Petaca District, Rio Arriba County, New Mexico, with Brief Descriptions of the Ojo Caliente District, Rio Arriba County, and the Elk Mountain District, San Miguel County. NMBMGR Bulletin 25. R&M 75:3 pp 156-169; Meeves, H., et al (1966), Reconnaissance of beryllium-bearing pegmatite deposits in six western states, US Bur. Mines Info. Circ. 8298: 32 (Table A-1). Rocks & Minerals: 60: 117-118; Meeves, H., et al (1966), Reconnaissance of beryllium-bearing pegmatite deposits in six western states, US Bur. Mines Info. Circ. 8298: 32 (Table A-1). ; Staatz, M. H.; Page, L. R.; Norton, J. J.; Wilmarth, V. R. (1963) Exploration for beryllium at the Helen Beryl, Elkhorn, and Tin Mountain pegmatites, Custer County, South Dakota. USGS Prof. Paper 297C. Rocks & Min. :10:147 & 60:112,116; Meeves, H., et al (1966), Reconnaissance of beryllium-bearing pegmatite deposits in six western states, US Bur. Mines Info. Circ. 8298: 33 (Table A-1). ⓘ Rutherford No. 3 pegmatite (Rutherford No. 2 pegmatite; Rutherford Mines; Rutherford No. 1 pegmatite) ? Falster, A. , W.B. Simmons & P.B. Moore (1988) Fillowite, Lithiophilite, Heterosite/Purpurite and Allvaudite--Varulite Group Minerals from a Pegmatite in Florence County, WI, Abst. 15th Rochester Mineralogical Symposium, Rocks and Minerals: 63(6) p. 455. Falster, A. , W.B. Simmons & P.B. Moore (1996) The mineralogy and geochemistry of the Animikie Red Ace pegmatite in Florence County, Wisconsin: Recent Research Developments in Mineralogy: 1: 7-67. Meeves, H., et al (1966), Reconnaissance of beryllium-bearing pegmatite deposits in six western states, US Bur. Mines Info. Circ. 8298: 33 (Table A-1). Meeves, H., et al (1966), Reconnaissance of beryllium-bearing pegmatite deposits in six western states, US Bur. Mines Info. Circ. 8298: 34 (Table A-1). Mineralogical Magazine 1963 33 : 458-466; Ackermann, A. J. L., KJ, B., & KC, H. (1966). The geology of some beryl pegmatites in Southern Rhodesia. South African Journal of Geology, 69(01), 1-38. Cairncross, B. (2004) Field Guide To Rocks & Minerals Of Southern Africa. 35. HARRISON (N.M.) - The geology of the country around Fort Rixon and Shangani. Rhodesia Geol. Surv., Bull. 61. 1969. 152 p.